Decay: 3. (When there are three cards on this event, destroy it.) 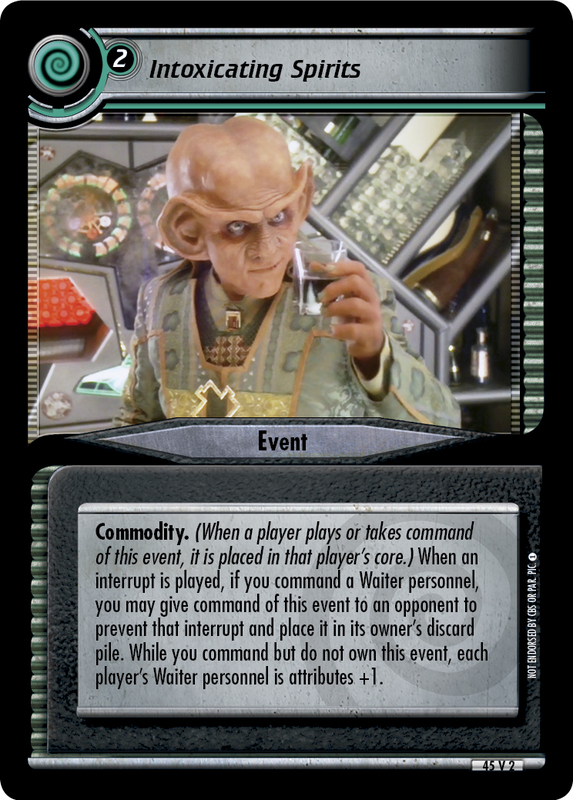 To play this event, you must command six Cadet personnel. Plays in your core. 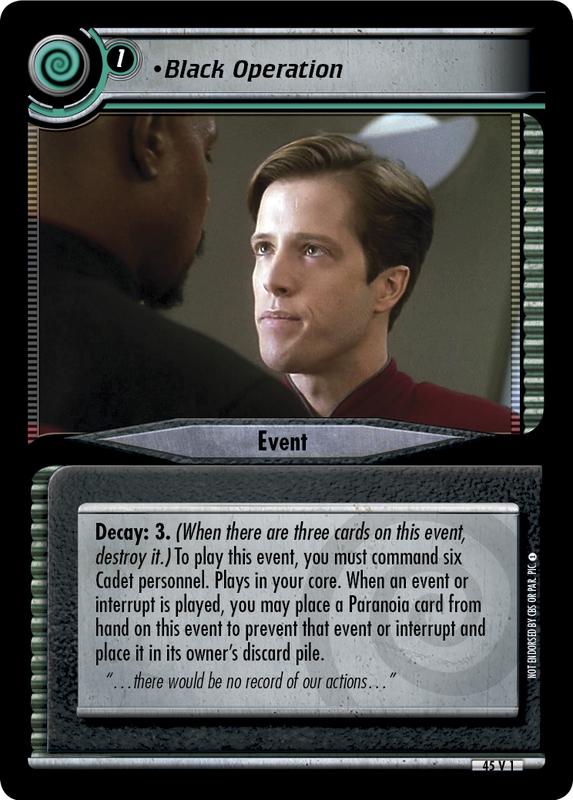 When an event or interrupt is played, you may place a Paranoia card from hand on this event to prevent that event or interrupt and place it in its owner's discard pile. "...there would be no record of our actions..."